We at Plumbers Friend Supply, Inc., the owner of this Website, or Site: www.lowcountrykb.com want to thank you for visiting. 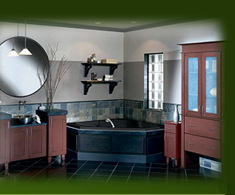 This Site, www.lowcountrykb.com, is owned and operated by Plumbers Friend Supply, Inc. Within this document, Plumbers Friend Supply, Inc. may also be referred to as "Us" or "We" or Lowcountry Kitchen & Bath. 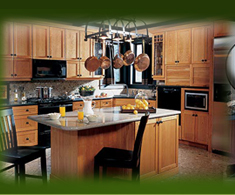 We may also use the word "Our" which implies a belonging to Lowcountry Kitchen & Bath/Plumbers Friend Supply, Inc.
Site Forms - If you complete our website form such as the form on our Contact Us page, your information is then passed through to our database using Active Server Pages (ASP), a programming tool. Because we use ASP and a password secured database, we are making every effort to protect your information. Cookies - We are not currently using cookies on our site. The information we collect is limited to that information you enter through of our website form or any information you send us via email. Contact Requests - By completing our Contact Form on our Contact Us page, you are agreeing to be added to our Contact/Mailing List. This means we may, periodically, send you information, by email, in which we believe you may hold an interest. If you should receive such an email from us, you may choose to remove yourself at any time from our Contact/Mailing List, by sending us an email or by contacting us via telephone. Whenever you submit information through our Contact Form, we consider your submission to be a request that we contact you. We store your information in our password secured databases and periodically, we download that information to our company's internal network, removing it from the server. We do not make any guarantees to the times or dates when we will be performing such tasks. Your information will remain in our archives for as long as we are required to retain it as mandated by Federal and South Carolina State Laws. Although we make every effort to protect your information, we can not guarantee that we will never lose it, as "crashes" and other unfortunate events occur. Therefore we can not and will not be liable for any crimes against us or our website such as theft, hacking, copying, republishing, redistribution, or other such illegal actions performed by individuals/entities not associated with Lowcountry Kitchen & Bath/Plumbers Friend Supply, Inc. If, by an oversight on our part, you are a child or the parent of a child who receives information from this website, or any of the websites owned by Lowcountry Kitchen & Bath/Plumbers Friend Supply, Inc., you should forward a copy of the email to us immediately upon your receipt of the email. You should send any disputes to our Administration Department by email: administration@lowcountrykb.com or by U.S. Mail to the address included within the section "Contact Information" below. You may also reach us by phone at the number listed below or on our "Contact Us" page. Thank you again for visiting our Website. We value your patronage. Copyright © 2006 - 2019, Plumber's Friend Supply, Inc. All Rights Reserved Worldwide.